Stitchers and knitters have had their chance-now crocheters also get the opportunity to contribute to the fight against women's heart disease! 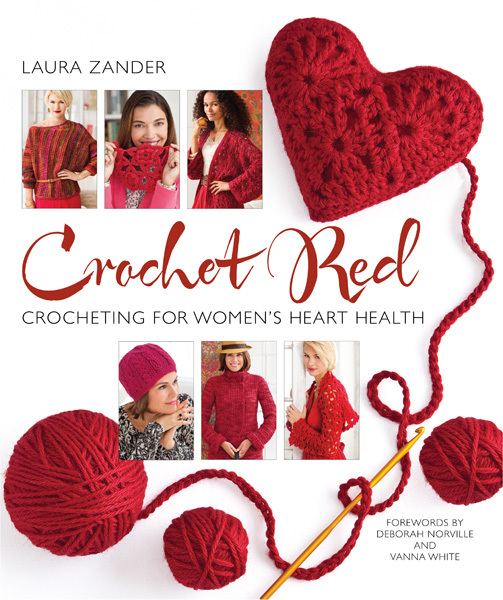 This third book in Laura Zander's successful Stitch Red series offers more than just stunning projects: it's an appeal to women to take charge of their heart health. Crochet Red features the designs of 30 celebrity crochet designers, plus profiles in which they share their experiences with heart disease and tips for staying healthy. Zander has partnered with The Heart Truth®, a public-awareness program sponsored by the National Institutes of Health, which will receive a portion of the proceeds from the sale of the book.